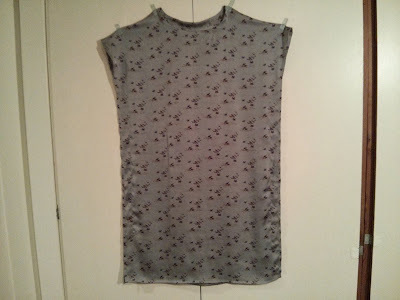 Here's my second project I sewed today: a shift dress using the platinum bird print silk fabric. 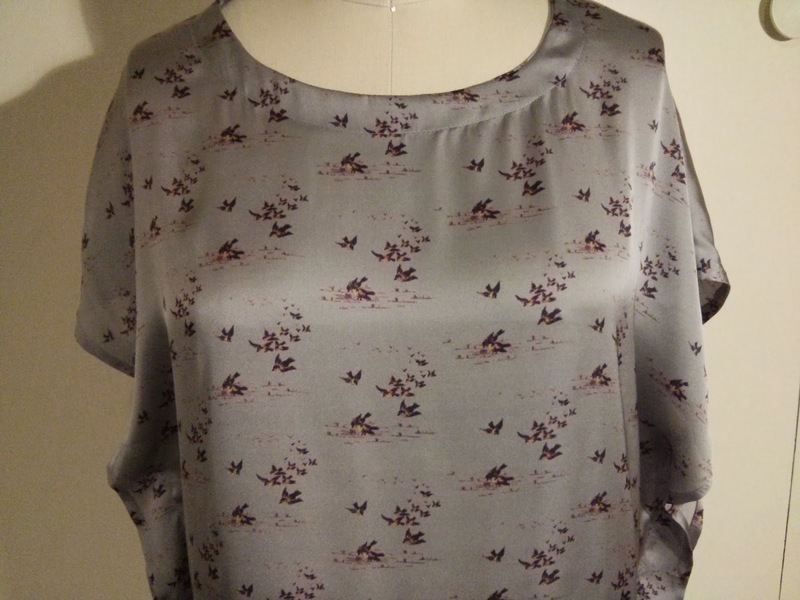 I was drawn to this pattern because of the interesting seaming detail on the sides. There are only two pieces to sew, the front and the back, along with the neck facings. Once the shoulders are sewn together, all the edges are hemmed. 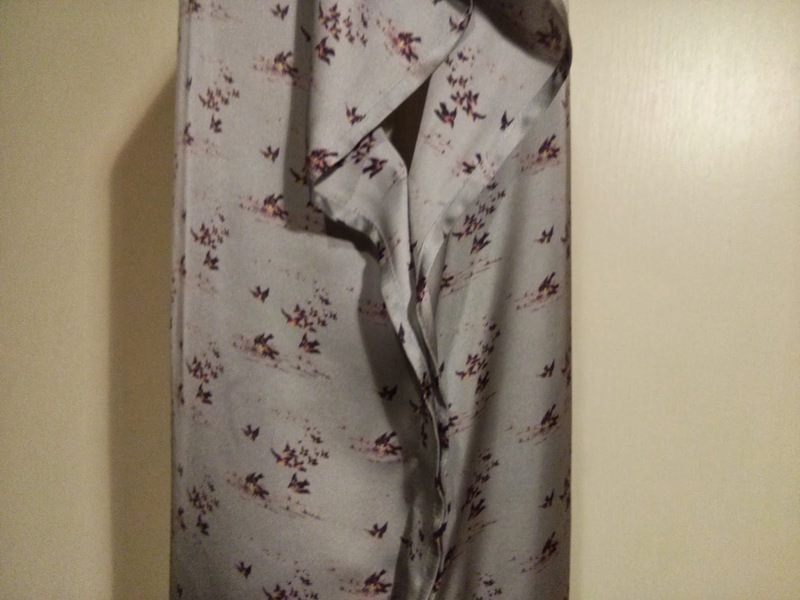 It's not completely visible from first glance, but the side seams are sewn with the wrong sides together, about one and three-quarter inches in from the edges. 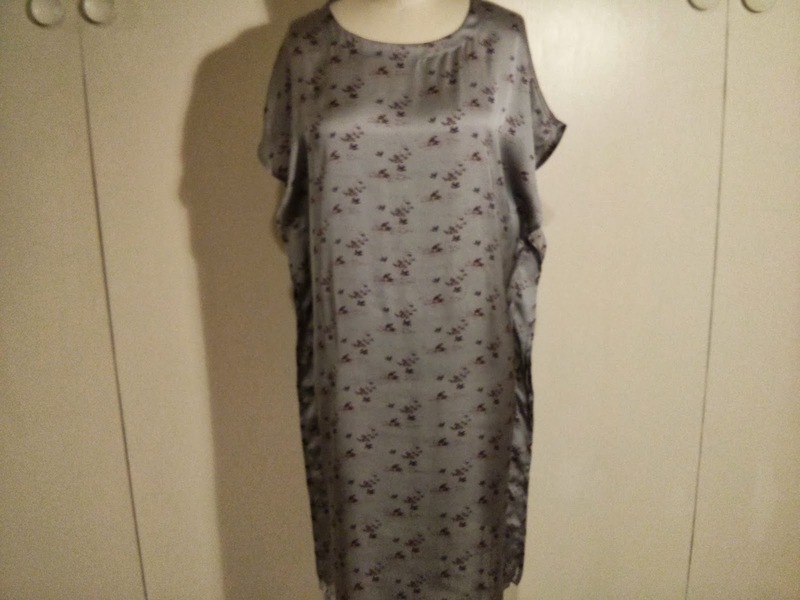 This seaming gives the dress a very casual feel, like a caftan and I'm not sure if I like that or not. This project would have gone more quickly had the fabric not been so slippery to sew. I do love the print though and can see this dress layered with a long sleeve T and tights. PS Sorry for the bad photos. I was too tired to retake the blurry ones!